Our team of innovation experts have worked at various product and technology companies. We have all worked with and taught high schoolers. ﻿﻿ Alison is a product designer and innovation educator, and has worked in product development and consulting for over twelve years including Apple, Motorola, and IDEO. 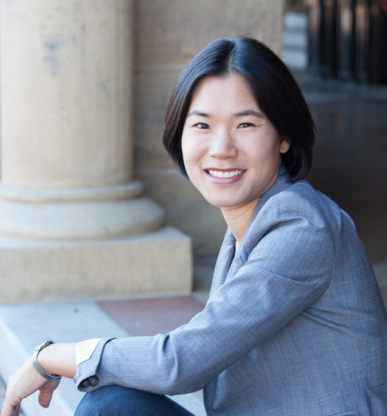 She now consults with various Fortune 100 companies such as John Deere, Samsung, and Google, and designs and manufactures her own line of consumer products. 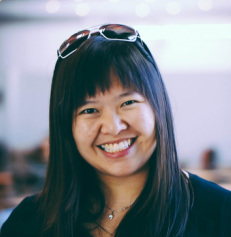 Hoi is a designer, visual storyteller, and educator with over twelve years of professional experience in design. At the heart of it all, she loves to build things from the ground up – be it a building, a product, a team, a story, or a brand. For over seven years, Hoi worked as a product designer and marketing manager at Orbit Baby, and led a creative team that gathered consumer insights and translated them into meaningful product opportunities and marketing communications strategies. Hoi holds a B.Arch. degree in Architecture from Syracuse University and an MFA in Product Design from Stanford University. Most recently, she can be found advising and designing for small businesses and early-stage product development start-ups. She is also an educator teaching Design and Marketing classes at the Art Institute, and is a freelance writer and photographer for Houzz.com. To Martin, being a designer merely means walking through this world with open eyes and looking at everything curiously, listening to people and contributing in a positive way. Martin’s background is in Industrial Design and over the last dozen years he has worked at Fuseproject, IDEO and IDEO.org. By utilizing and becoming well-versed in Human Centered Design, his approach became more strategic and the resulting solutions grew more impactful. His belief in an active and healthy lifestyle influences Martin’s focus on product categories that directly impact people’s well-being, such as outdoor gear, nutrition and medical products. Today Martin is an independent designer in the Bay Area and teaches Design Thinking and Industrial Design in the US and Europe. Beth Liebert majored in Product Design at Stanford, then started her career as a designer and user researcher at IDEO in Palo Alto. For the past 6 years, she worked at Google as a product manager on various products including Google Maps, Google Analytics, and Google Image Search. 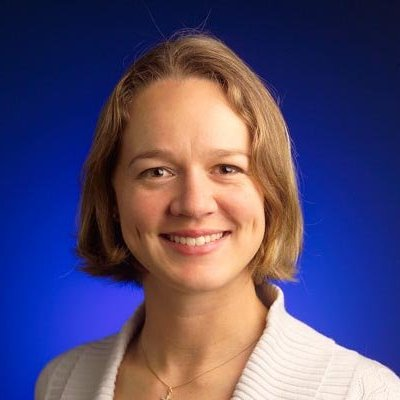 While at Google, she was also tightly involved in the Women@Google organization, and led several workshops with high-school and middle-school students to demonstrate how cool technology can be as a career. She is currently taking her love for design to a new arena in the word of outdoor and athletic apparel, starting with designing gear for fundraising races, and hopes to combine her background in tech with apparel in interesting new ways. Alison’s design workshop was the best rated among all lectures and workshops we had this year and the students urge us to invite her to our program again!